We’re pleased to announce that we have achieved a major national quality mark and become the first waste resource management organisation in the south of England to be awarded the BSI standard national quality mark, PAS 402. The quality mark recognises commitment to reducing waste, specifically for the construction and demolition industry. 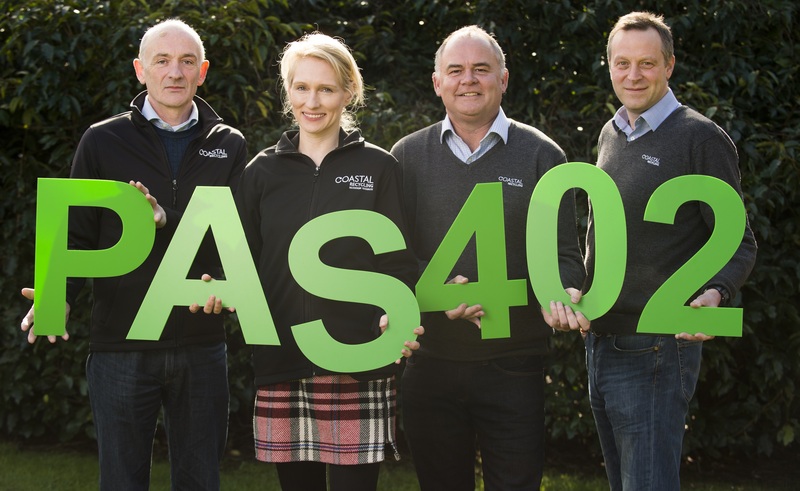 As the focus for the waste industry continues to shift from landfill to recycling or energy recovery PAS 402 is a nationally recognised quality waste management standard marking this. The standard follows a rigorous process set by the BSI (the national standards body of the UK) to meet the particular needs of the construction and demolition industries. To achieve the quality standard, the team had to meet key performance targets across the operation including collection, transport, recovery, treatment and disposal of waste as well as reporting and evidence collection on waste management activity and materials recovery rates. The standard is monitored to ensure that performance specifications continue to be met in the future.